The Bank of England made a rod for its own back in August when it first linked the outlook for monetary policy with the fortunes of the labour market. It now admits it was too pessimistic about how quickly unemployment would fall. However, the central bank seems no keener to raise interest rates than it was then. 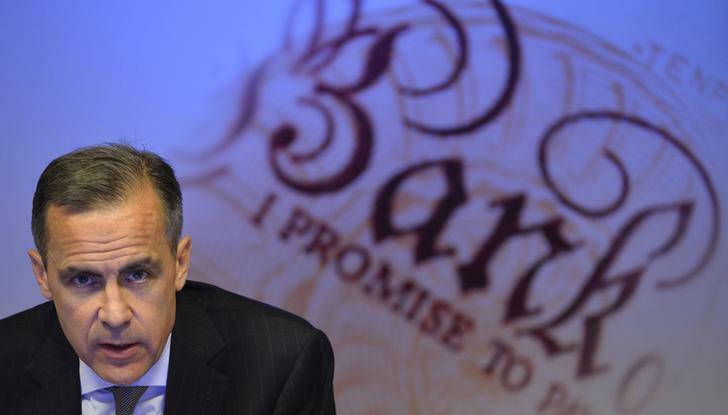 Governor Mark Carney is trying to nuance the message. But he might do better just to simplify it. The central bank raised its growth predictions and cut its unemployment and inflation forecasts in Wednesday’s quarterly Inflation Report. That is consistent with the most recent economic data. The unemployment rate of 7.6 percent is the lowest in more than four years. The inflation rate has subsided to 2.2 percent, close to its 2 percent target. For a central bank which has not met its inflation target for years, this might sound like a Goldilocks scenario. But Carney has a problem. He is afraid that premature rate increases would crush a still fragile recovery. The goal of setting an unemployment rate target of 7 percent was to assure financial markets that rates would stay ultra-low for longer. Instead, investors have focused on good labour market data and extrapolated an early rate increase. Carney and other central bank officials have time and again insisted rates would not rise automatically just because unemployment fell below 7 percent. He did so again on Wednesday. But money market prices show a quarter-point rate rise by mid-2015 is fully discounted, with a second hike expected by the end of that year. Carney’s message for the markets has been muddied. His pseudo rules-based system now hinders more than it helps. He can keep on saying that unemployment is only one of the factors that determine monetary policy. But he would be much more persuasive if he said something like this: “We do not believe the UK economy is strong. It will take a massive improvement to change our minds. Expect rates to stay low for a long while”. Bank of England Governor Mark Carney speaks during the bank's quarterly inflation report news conference at the Bank of England in London November 13, 2013. Britain’s unemployment rate will fall much faster than previously expected due to a strengthening economic recovery, the Bank of England said. However, the central bank stressed that it was in no hurry to raise interest rates. The UK unemployment rate fell to 7.6 percent in the three months to September, the lowest since the March-May period of 2009, the Office for National Statistics said. Britain’s annual inflation rate fell to a 13-month low of 2.2 percent in October from 2.7 percent in September. That was below economists’ expectations of 2.5 percent.